Home Celebrities Life and Death of Lenny Bruce, How and When Did He Die? Lenny Bruce was a foremost American stand-up comedian and controversial social critic who died mysteriously in his prime amidst his obscenity trial. With his short but impactful life, he established himself as one of the renowned comedians that paved the way and established conducive platforms for the current eras of comedians to showcase their skills. Having died in the middle of his trial for obscenity and subsequently getting a posthumous State pardon, Bruce is regarded as an icon who set the landmark for freedom of speech in the United States. Learn more about the events in his life below. 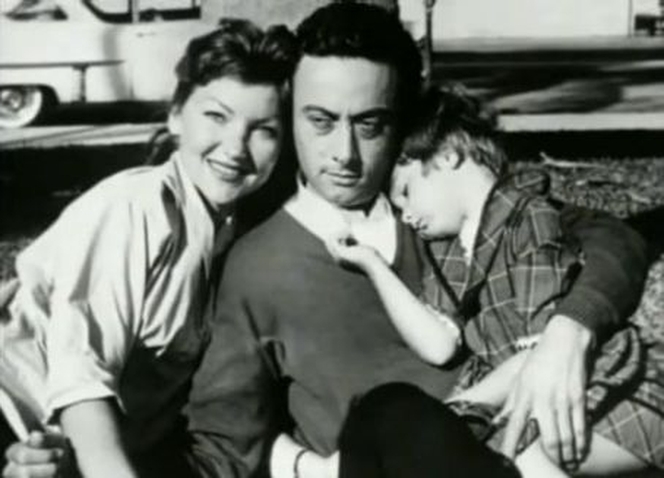 Lenny Bruce was born Leonard Alfred Schneider on October 13, 1925, in Mineola, New York, the United States to Myron (Mickey) Schneider (father) who was a shoe clerk and Sally Marr (mother) who was a stand-up comedian, dancer, actress, and talent spotter. The parents divorced when Bruce was about to turn 10, his mother was instrumental in seeing that Leonard succeeded as a comedian as she would often take him along to where and when she had shows. In the course of his comedy career, he adopted Lenny Bruce as his stage and professional name. His childhood was not a remarkable one due to marital issues that existed between his parents; he spent most of his childhood days around his relatives in Bellmore before enrolling in Wellington C. Mepham High School. After High school, Bruce worked on a farm before Joining the United States Navy in 1942 when he was just 16. He was in the service during World War II, fighting mainly around Italy. He had a comic show in May 1945 which did not go down well with his commanding officers, thus discharging him the same year in an undesirable way. Bruce later requested through an application that his unworthy discharge be changed to “Under Honorable Conditions… by reason of unsuitability for naval service”. Bruce came back to California and spent a little time with his father before leaving to settle in New York to build a career in comedy. With the number of comedians saturated all over New York with a similar line of jokes and artistry, he hooked up with Joe Ancis who schooled him and gave him a unique approach to his style of comedy. Starting up his career, the former Navy personnel first adopted Lenny Marseille as his stage name before finally settling with Lenny Bruce, around 1947 after a wonderful performance in Brooklyn; he earned $12 and a free spaghetti dinner. In 1948, after his appearance in the Arthur Godfrey’s TV Talent Scout show which he won, he began to land more bookings in nightclubs and bigger shows and better venues like New York’s Strand, the monies were not left out as they kept coming. Bruce began shifting his style of comedy from impersonations to free-wheeling monologues satirizing religion and politics. He would grow more famous and release several comedy albums while making occasional appearances on Television in shows hosted by the likes of Steve Allen, and many more. While Bruce was known for using obscenity in his comedy materials, it landed him into troubles; he was arrested in 1961 for obscenity and possession of prescription narcotics after his show in San Francisco. Following his acquisition, a few years later, the security forces began to keep close eyes on him which later led to his subsequent arrest for use of raw language while on stage. It was in 1964 that Lenny Bruce was jailed for few months after being convicted for obscenity, the likes of Woody Allen, Bob Dylan and Allen Ginsberg rallied behind him and showed him support during his trials. As he faced more troubles, he had few times for his shows and later went bankrupts. In an attempt to ease the pains of the frustrations; he resorted to drugs which never helped him. Aside from his arrests for obscenity, Bruce was once arrested after he set up a funding organization to raise the money he would send to a leper colony in Guinea, after about $8,000 were raised, Bruce sent only a paltry sum of $2,500 which the authorities saw as a criminal act thus, his arrest. In the course of his comedy career, in 1951, Bruce met his wife named Honey Harlow, in a club in Baltimore where she used to be a stripper; he immediately fell for her and made known his intention to marry her. They tied the knot same year before moving to New York in 1953 to settle in West Coast, she would then go on to join Bruce on stage in some of his shows. Honey Harlow was born Harriett E. Jolliff on August 15, 1927, in Manila, Arkansas, the United States to unmarried teenage parents, while she was a toddler, her father died as a result of a tuberculosis-related case, leaving her to the care of her mother. As Honey was growing up, her mother found work at a nightclub before re-marrying to a local hustler to fend for her kid. The unstable home condition made Honey leave home as well as skip school; she eventually left home alongside her friend to establish a career in showbiz. In 1953, she appeared in an indie film named Dance Hall Racket which also featured her husband, Lenny Bruce. Bruce marriage with Honey brought forth a daughter named Kitty Bruce, she was born in 1955. After just a few years they stayed together, due to marital issues, Bruce filed a divorce against his wife on January 21, 1957; it was not until 1959 that the divorce case was finalized. Honey later re-married Jeffrey Friedman in 1984 after the death of her ex-husband, whom she actively promoted his legacies. Years later, she kicked the bucket (died) in 2005. How and When Did Lenny Bruce Die? After being convicted and facing trial for obscenity, Bruce took to drugs to ease his pains, on August 3, 1966, he was found dead in the bathroom of his home in Hollywood Hill. Following proper investigations to ascertain the cause of his death, it was announced that Bruce died of acute morphine poisoning caused by an overdose. He was buried in Eden Memorial Park Cemetery in Mission Hills, California. A biographical film titled Lenny was released in 1974 to capture the known and unknown stories of Lenny Bruce. The award-winning movie was directed by Bob Fosse and featured the likes of Dustin Hoffman as Lenny Bruce, Valerie Perrine played as Honey Bruce and a host of others that played various characters in the biographical drama film.